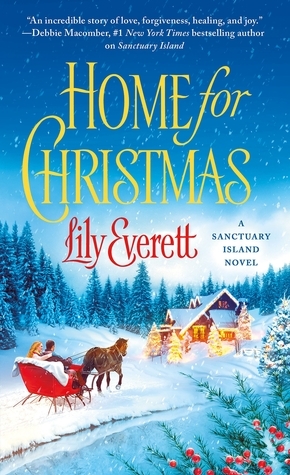 Once again Lilly Everett has written a book that tugs at your heart strings and right before Christmas. 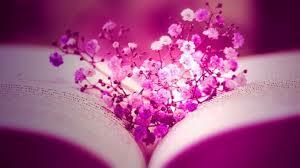 This book revolves around Libby Leeds (Elizabeth) who writes a blog that is her writings of fiction. On what it would be like to have loving family once again who lived back on Sanctuary Island like she did when she was a young girl. She would cook the wonderful home cook meals from scratch she knew she had dreamt about. You see back when Libby was an eight years old her parents were in a terrible car accident that killed them both. Rather than she be left there to be raised under the uncaring had of her grandfather. Her dad’s brother Ray took her to Queens to raiser her himself never to return to Sanctuary Island again. This is why when blog started being read by so many people and was noticed that her boss Hugo Downing asked her to write for them she couldn’t refuse. But it wasn’t just for herself. You see Uncle Ray was becoming more and more ill with Alzheimer’s and started needing 24 hour care and her apartment was just too small. Her lie was now coming to bite her in the rear. Hugo Downing calls to tell her a Sanctuary Island Army Ranger Hero was coming home after being in Afghanistan and being injured. Sergeant Owen Shepard, as she listens to her bosses booming voice over the phone she and his family will be going to have Christmas dinner with her and her husband. Yeah! That was another snag she didn’t have a husband either. Hell she hadn’t had a boyfriend in years, 4 at least. She was in a panic and said she couldn’t do it. But Downing’s said she could and would. So she had to tell the truth. So did he, he had already told everyone in a newsletter. She had to tell all of it but what would happen? She can’t cook, no husband, and she doesn’t live on the island. He asked how she picked that place. She said she once lived there before her parents were killed. He asked if she had any family still there she said yes, a grandfather, he said get it done that she had two weeks to make it work. Or you go to JAIL FOR FRAUD! She swallows her pride calls her grandfather. He pays for her flight out. As she’s on the ferry she bangs into a man with her suit case. No really she bangs into him. To her surprise it’s Owen Shepard. She offers him a seat by her since the ferry is packed. Right away there’s a connection. Owen is taken aback because he finds himself spilling his guts to her. No to mention he is oddly attracted to her. She is cute, nice and she babbles but she is very genuine and he needs that in his life. She’s real and she doesn’t hold back she’s got a backbone too. They exchange first names and just before he gets there he explains he has a daughter her never met and that he agreed to do this Perfect Christmas for her with this online magazine. When she realizes he doesn’t get who she is she tries to tell him but he’s so excited about seeing his daughter and introducing Libby to her. When they get off no one is there for either of them but it is busy due to a festival. When a guy comes out of nowhere coming right at her, Owen’s instincts has him positioning himself in front of her, but she just seem of center with his arrival. When he calls out her name and hugs her and she is stiff for a moment he sees that. This was a very good story with a lot of twist and turns. The characters were interesting to say the least. I love military stories. This one didn’t disappoint at all. The mishaps to make this whole thing come about was just too funny. I give this book 5 stars. Provided by Netgalley.com.